Happy Friday! My weekly wrap-ups went missing from the blog for the entire month of February. I was so busy with life stuff that I just didn’t get around to them. Also, there was a complete lack of internet in the new flat until this week. So here is the triumphant return of my weekly wrap-up posts! It’s a long one — buckle up! I managed to read three books this week, although two were quite short. This brings the grand total of books read in March up to four, which could be better. I’m planning on picking up the pace, but I’m still trying to catch up on blog and YouTube work! We’ll see what happens. The month’s tally so far! My Audible credit in January went toward The Silkworm, the second Cormoran Strike book. I read and reviewed The Cuckoo’s Calling last year and thought it was okay — The Silkworm was a much better book. I’m so happy to see her really succeed with writing books that, well, aren’t Harry Potter. While crime fiction is not a genre I usually reach for, I really do enjoy crime and mystery novels. This was my first time listening to a crime audiobook and I was hooked! I would highly recommend the audiobook — it has a fantastic narrator and it is easy to get lost in the story. My commute was very exciting. The other books I read this week were short ones. Women in Power is essentially a condensed version of two of well-known classicist Mary Beard’s lectures. This book dives into ancient Greek and Roman culture to suss out why modern women continue to struggle to obtain and maintain positions of power and how they are silenced. I really enjoyed this book (as rage-inducing as it was) and think it will be one I turn to again. The Breakthrough is one of those brilliant new £1 Penguin classics. I bought four of them — who can resist? — and this is the first one I’ve read. I ended up really enjoying this little story — she manages to weave so much emotion and excitement into 58 pages. I had never read any of Du Maurier’s books before and now I really feel like I’ve been missing out. So, I’m currently reading a lot. Shame on me. I usually have two books going at once, which is fine, but five is where it starts to get ridiculous. When I’m on the verge of a reading slump, one of my reactions is to pick up and read a ton of books at once. It looks like this is about to happen. Fortunately, they’re all quite different! The Accidental Recluse is literary fiction. It’s incredibly readable and I’m enjoying it very much on my long commute. I’m actually going to be hosting a Q&A at Blackwells in Oxford next month if anyone happens to live in the area! It’s my first ever event and I’m really nervous, but excited. State of Sorrow is a YA fantasy that is beautifully written, but slow moving. I think I’ve temporarily gone off YA — I’ve been pretty disappointed by most of my YA reads lately — so it is one I have put this one aside for now. I absolutely intend to pick it up again soon, particularly because Melinda is coming to Oxford in April! Planetfall is a review copy generously provided by Gollancz, one of my favourite publishers. I’m not very far, but I’m absolutely loving this book! She has a new book in this universe coming out soon and I am really looking forward to it. Finally, The Seven Deaths of Evelyn Hardcastle is my NetGalley book for this week. I’ve been wanting to read down my NetGalley titles, and this is my triumphant return to my Kindle. I’m absolutely loving this weird and wonderful mystery/thriller! It is being marketed as ‘Groundhog’s Day’ meets ‘Gosford Park’, two of my absolute favourite things. I cannot wait to finish it up this weekend. Okay, I was particularly bad this week. However, The Wicked Deep and City of Brass both fall under the ‘highly anticipated new releases’ clause of my shelfbuster challenge. No problem there! And City of Brass is incredibly gorgeous! Look at it! We went to Hatchards, my favourite bookshop, and I went a little crazy. But hey, those last four are the tiny £1 Penguin Classics so I feel no guilt about them. It’s just the other 5 that I feel bad about buying. But! They’re all books I’m incredibly interested in reading. I have my work cut out for me! I don’t have much to say about these so far, but I’m really looking forward to them! The Upside of Unrequited was generously sent to me by Sarah (thank you!! ), while the other two came from publishers. Tuesday was like Book Christmas for me. I was approved for these three titles in one afternoon, and each is one I’m really looking forward to. I didn’t think I would be approved for City of Brass, so I ended up buying a copy (see above). I think this is the one I’m most excited for. Whew! That’s it for this week! I’m really looking forward to cutting into my TBR and doing some serious reading this weekend. What books did you read this week? 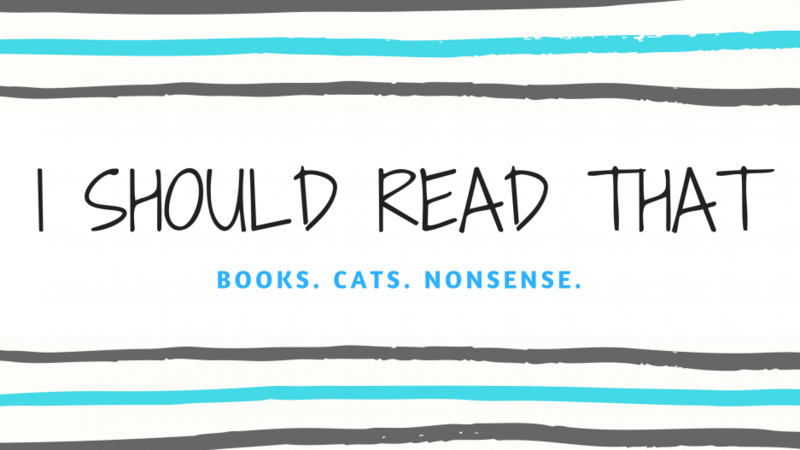 Are any of these titles in your TBR? Let me know! Is Battle Royale the book that’s like Hunger Games but came before Hunger Games?? I’m glad to hear the Silkworm is better than Cuckoo. I really liked Cormoran, but the story itself left me unsatisfied. That’s the one! I always thought it as a graphic novel (which it is, it was adapted from the novel novel). Really looking forward to that one — my lovely friend just finished reading it and loved it. Women in Power is on my Reading Challenge for this year, I own The Silkworm but not yet read it, and we’ve both finished The Breakthrough at a similar time. We have very similar tastes! Children of Blood and Bone was fabulous, but other than that…nothing stands out to me. Fingers crossed for more fun spring releases! I haven’t heard anything about Ash Princess yet — this is all very good to know! I struggle with some abuse and torture descriptions, so I’m glad knowing about this going in. Thank you! No problem 🙂 I wish I had known going in or what I wouldn’t have traded an ARC for it…if you do finish it, I’m curious of what you think! Is Battle Royale the same as the movie? If so, I’d read that in a heartbeat. The others look quite good, too. I really enjoyed The Keeper of Lost Things.